Fitbod is the exclusive Australian supplier of leading fitness products from the United States of America. The brand’s messaging is targeted towards health and sports centres, physios and fitness studios with minimalist training equipment that gives customers fast results. As a new brand, Fitbod required Cue Media to position them as the number one stockist in Australia of quality fitness and training products. They needed a partner with proven capabilities to power up their eCommerce site and rule the fitness industry. Incorporating key terms the target audience are searching for, Cue Media researched and implemented an on-page SEO and blogging strategy to populate the site with organic content prior to launching. A national search engine marketing campaign and remarketing techniques were carried out to beat competitors using display adverts and highly performing content. 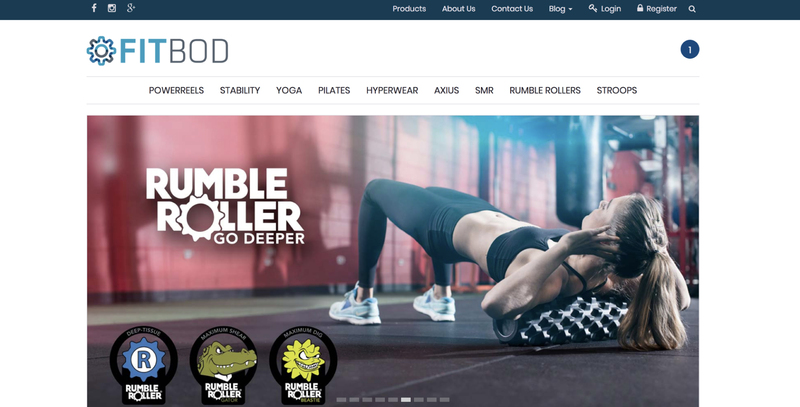 After successfully launching the e-commerce site, Fitbod is now recognised as the exclusive supplier for Australian fitness products.